My recent blog post on digital marketing trends shows the latest innovations, but here we go back to basics to define digital marketing. This is important since for some in business, particularly more traditional marketers or business owners, ‘digital’ is simplistically taken to mean ‘our website’ or ‘our Facebook page’. This thinking limits the scope and opportunity of what’s managed and it means that activities that should be managed may be missed. 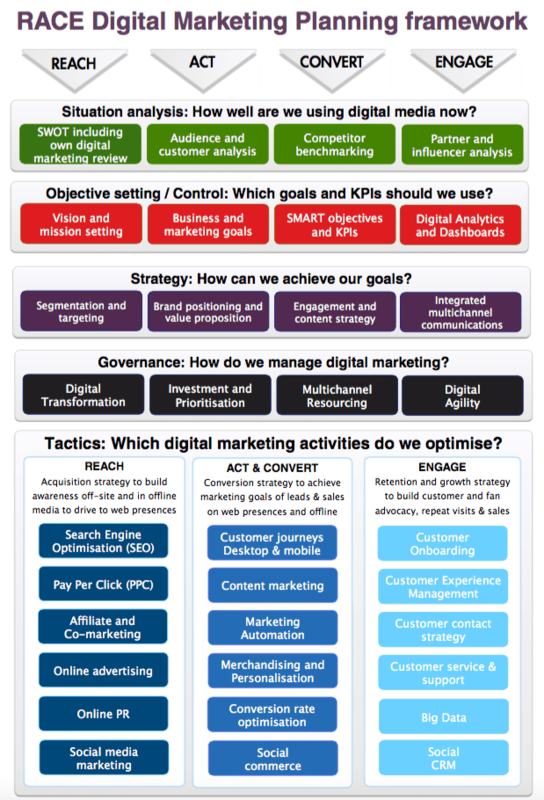 To answer the question ‘What is digital marketing?’, we have put together this new visual definition summarizing all the activities that form digital marketing that needs to be managed across the Smart Insights RACE Planning framework. It’s used in the new, 6th edition of Dave’s Digital Marketing book. We explain best practices for all of these in our Digital Marketing Elearning course. 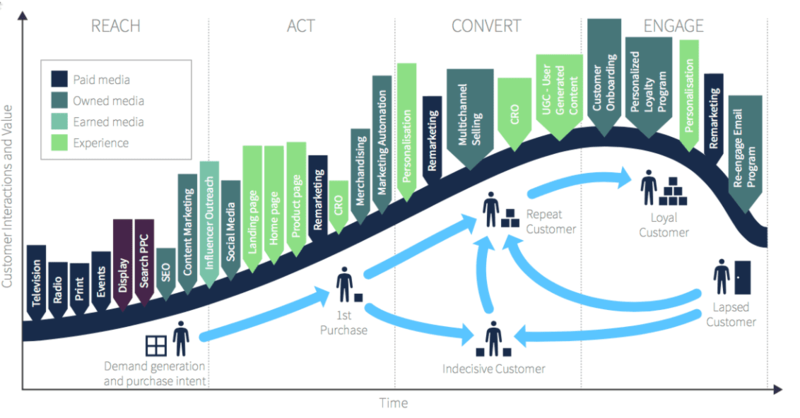 The infographic is divided into activities to develop and manage digital strategy at the top to the marketing activities at the bottom.